Batteries & Mods | White Mist Co.
Ijoy Maxo Quad is the first QUAD 18650 Box mod with max 315W output. User can customize the appearance with various leather stickers. With ergonomic design, it is comfortable to be griped with. 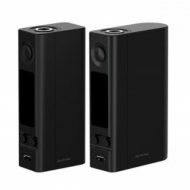 This Ijoy Maxo Quad does not come with a built in battery, it requires 4 x 18650 battery which can be purchased separately under our batteries section. Note: This device requires an external charger, it can not be charged via USB. 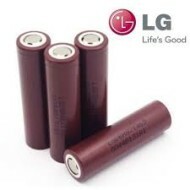 An external charger can be purchased separately under out chargers section . Joyetech Cuboid 200 TC Box MOD is powered by triple 18650 cells, Cuboid 200 can reach to 200W maximum output. 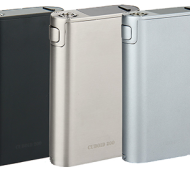 The Cuboid 200W features new interface with upgradeable firmware, custom logo and preheat function, separate battery bars and multi-protections. 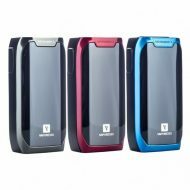 This Joyetech Cuboid 200 TC Box MOD does not come with a built in battery, it requires three 18650 battery which can be purchased separately under out batteries section. Joyetech eVic VTC Dual eatures the replaceable back cover for alternatively using one or two cells as you prefer where maximum output can be reached to 75W and 150W respectively. This Joyetech eVic VTC Dual does not come with a built in battery, it requires a single or 2, 18650 battery which can be purchased separately under out batteries section. The Vaporesso Nebula 100W TC Box Mod is the latest modernized output technology by Vaporesso, engineered with clean-cut lines and a powerful chipset. This Vaporesso Nebula does not come with a built in battery, it requires a single 18650 or 26650 battery which can be purchased separately under our batteries section. 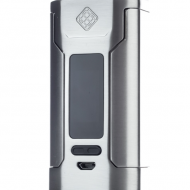 The Wismec Predator 228 is the current flagship device from the manufacturers that brought you the industry changing RX platform, featuring a 228W maximum output, full temperature control, and ergonomic controls. 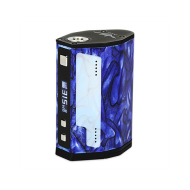 The Wismec Predator 228 requires 2 x 18650 batteries, that need to be purchased separately.